Do You Heer What I Heer? A new thing I am getting into is making cocktail ingredients at home. Don’t worry, I’m not distilling anything – that would be both illegal and crazy. I am, however, a fan of taking things that other, reputable people have distilled and making them better. 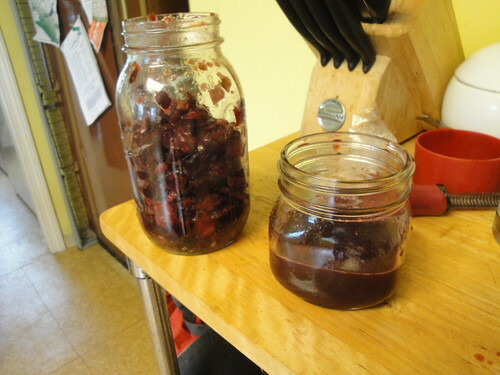 The process is known as infusion, and it’s a great way to make your own unique cocktail ingredients, as my friend Tiny Doom does here. 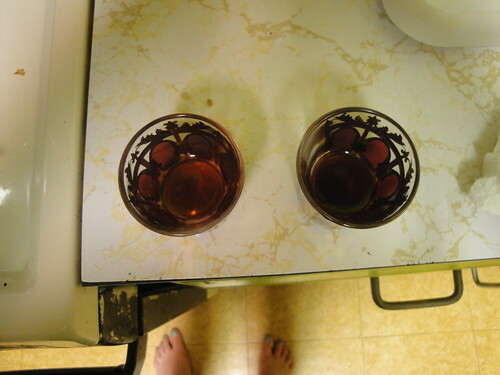 It’s also a fun technique for duplicating or even tweaking the flavor profiles of known liqueurs. 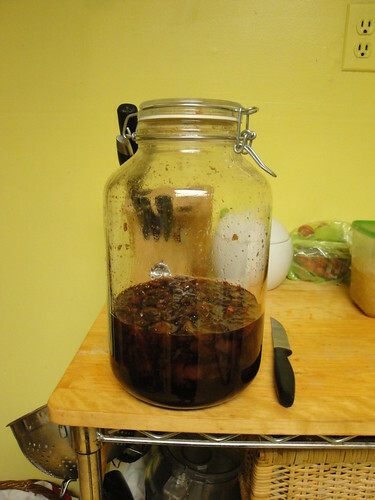 I decided to try a recipe for Cherry Heering. Cherry Heering is a, you guessed it, cherry flavored liqueur manufactured in Denmark. I’m a big fan because it is a component of one of my favorite tiki-style cocktails, the Singapore Sling. However, it can be a little expensive and until recently was hard to find (Thanks, cocktail resurgence, for making many ingredients easier to procure!). So when I found this recipe I decided to give it shot. 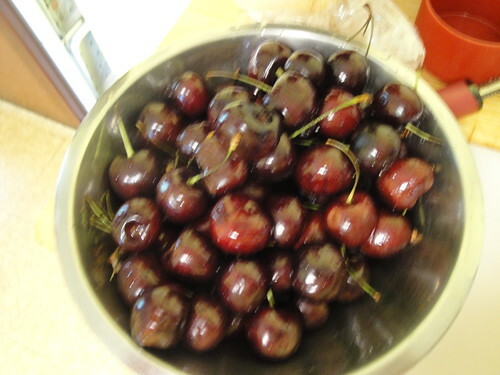 First, I washed and pitted about one million cherries. It is messy work, this. Ask Tiny Doom about the time we made a cherry tart. I think her hands might still have a reddish tinge. Next I parted the cherries from their sweet, sweet blood. I mean juice. This exsanguination was performed with a muddler, one of my favorite cocktail tools/words. I put the juice in the freezer because I wasn’t going to need it for about a week. The juice and the cherries are separated for their own good. 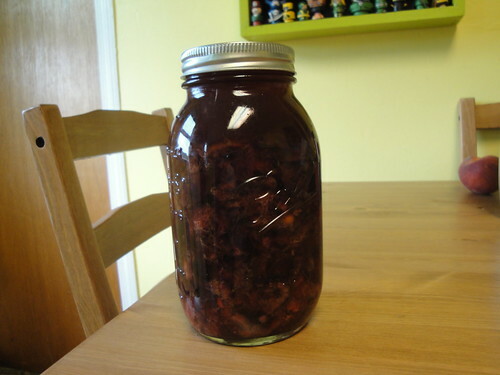 Then all the cherry corpses went into a jar with some vodka, brandy, and a cinnamon stick. This all got to just hang out for the aforementioned week, getting to know each other and get comfortable. Just doing its thing, infusing. 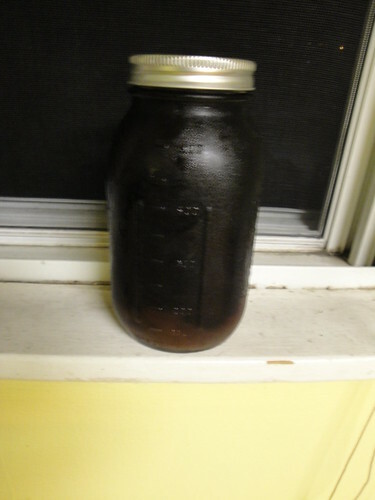 I needed a bigger jar, because the fit was a wee bit tight, so I got the biggest jar I could get my hands on at local cocktailing emporium, the Boston Shaker. Otherwise the juice would not be able to rejoin the party! and brought it together with its friends in my new, larger jar. 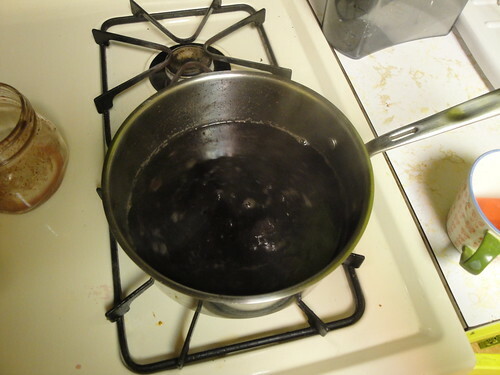 That sat for a few more days, and then I strained it, leaving a gorgeous, deep red liquid behind. It’s ALIVE! Okay, not really. But it *is* done! So how does it stack up to the original? Mr. Menace and I did a little taste test. Mine on the left, original on the right. Shake everything except the club soda, because that would explode and your drink and your shirt would be ruined. Strain into an ice-filled Collins glass. Top with the club soda and enjoy! Feel free to throw in a cherry if you’re into that, or a paper umbrella for whimsy.